So I have decided to dedicate every Tuesday to “try it Tuesday” meaning every Tuesday I am going to try new products & let you all know what I think about them. 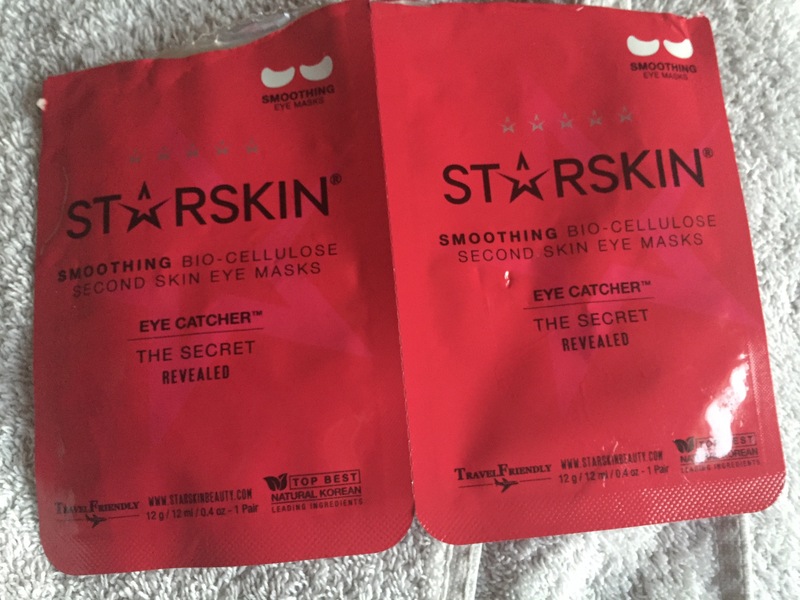 First up I have a smoothing eye mask from star skin that I got a sample of in either a glossy box or a look fantastic beauty box. I’m nearly 100% sure it was a glossy box. Anyone interested in subscribing for a glossy box you will find their website Here. For those of you who don’t know what a glossy box is, Here is the link of a blog post I have already done explaining a look fantastic beauty box which is the same thing as a Glossybox only a different company. So been honest I think I completely used these eye masks wrong. 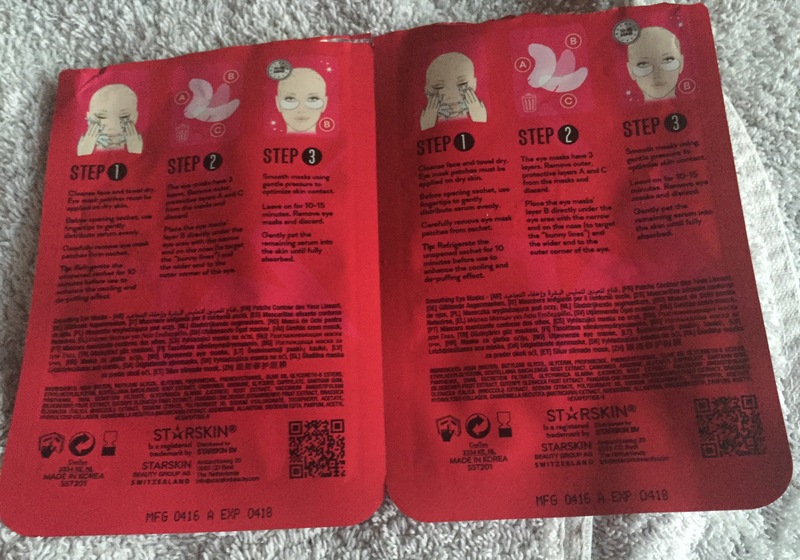 On the back of the sachet it said to apply “the serum” evenly before opening the packet. Ehh.. What serum?? 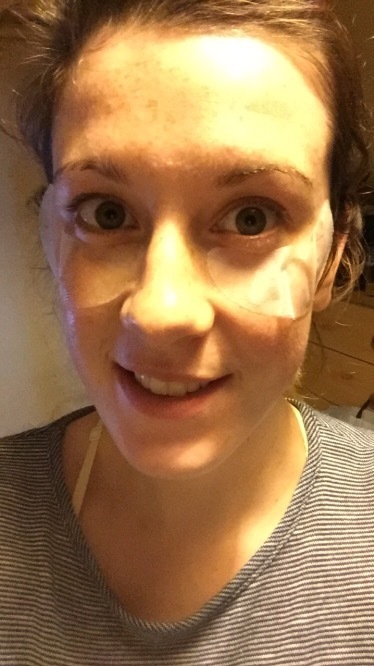 When I opened the pack I applied some sort of serum that was surrounding the eye masks to my skin incase that was the serum they were on about. Next the packet said that each eye mask had three layers and the outer layers were to be removed and the middle layer was to be applied under the eye. Why is there like five layers?? Am I to only Apply one layer?? Am I to take away the outer layers and apply all the layers within the outer layers to my skin?? I mean is it just me?? Is it really clear what I am to do here and I am just not getting it?? Stranger things have happened! Basically I removed the outer layers and applied the middle layers of the eye masks to my skin and left them on for fifteen minutes. (That was the length of time it said on the back of the pack). My skin was lovely & soft after the entire process was over which is always a plus! Has anyone else tried these eye masks?? Feel free to point out how they are actually meant to be used! Previous ﻿Bobs Bingo one month in..